Maggie Tribolt had never seen anything like it. Maggie is referring to the 29 individual tow trucks which showed up to remove a car that had parked outside the lines in North Bay. The car, whose owner refused to comment, was parked over not one, but two spaces near a beloved North Bay establishment. 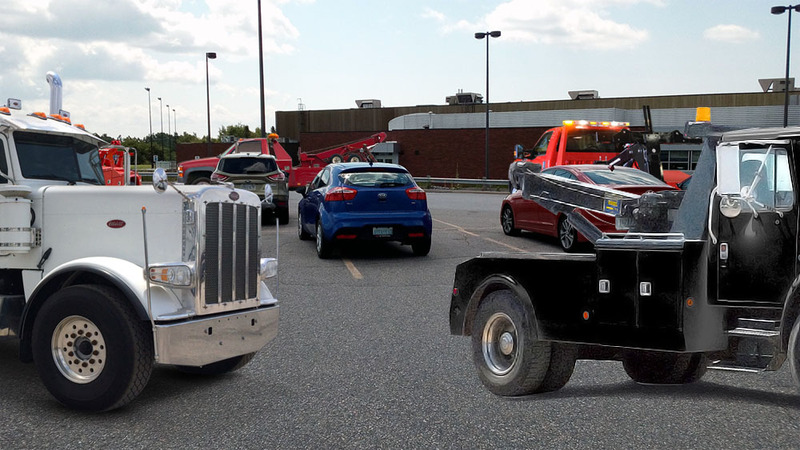 Withing seconds of the car being parked, almost 30 full-sized heavy-duty tow trucks from North Bay, Callander, Powassan and Mattawa rolled into the lot in search of the unforgivable offender. Most of the remaining tow trucks slinked away, but The North Bay Bay caught up with one of the drivers before he left. 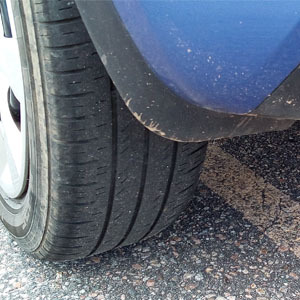 Christopher Audet, a driver for Espresstow™, warned others. Chris then rolled his windows up, laughing manically, and drove away on the grass. The car, moments before it was pounced on by a 8000 pound tow truck. Disclaimer: The North Bay Bay is a news satire and parody website. All articles are fictitious. So don’t take them too seriously, be nice to others, and eat your vegetables, ok?